Hey friends! Another month has passed and summer is in full swing! I haven’t been journaling in my Bible as much as normal because we have been camping, but I still managed to do quite a few entries. Honestly Bible Journaling is one of my favorite things to do. My girls love doing it with me as well, which is a beautiful thing! 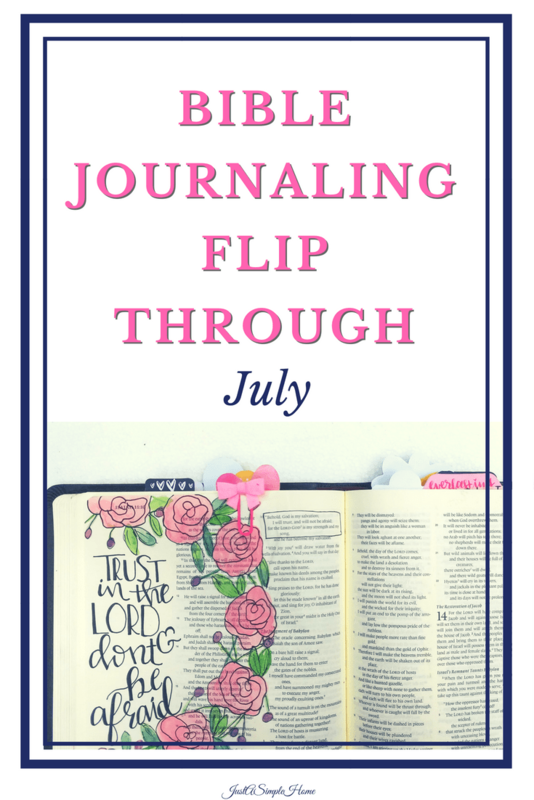 I know many of you enjoy seeing Bible flip throughs, so I am sharing mine and showing you the entries I have done in the last month. *Use Code “THANKYOU” through July for 25% off your order OR Code “IFSHIPSFREE” for free shipping.